The much-maligned Paris climate deal has the potential to transform capitalism — if we know how to use it. Among the many reasons to celebrate the resurgence of the Anglo-American left, the battle to stall climate change surely approaches the top of the list. Even a passing understanding of contemporary science reminds us that we live in an age that demands radicalism. 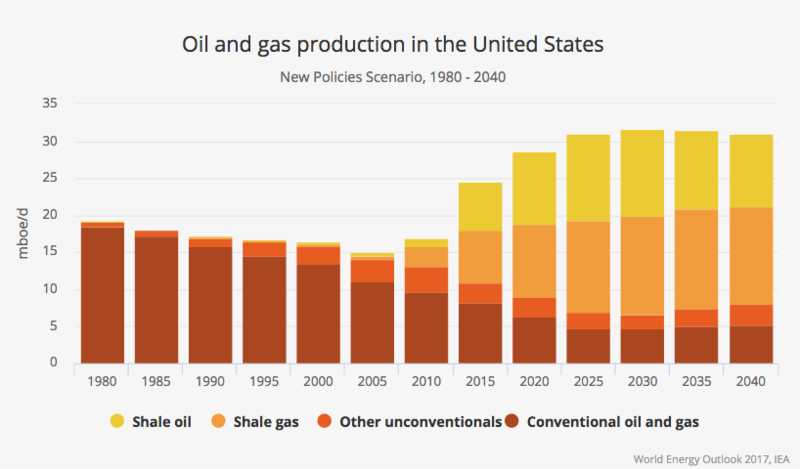 Transforming the globe’s energy system within the time available is challenging enough, but we must do so in opposition to some of the wealthiest and most powerful corporate and political interests in history. Climate change is the first test of whether democracy can constrain capitalism in the name of justice, and the question of whether history will continue as anything but barbarism hangs on the outcome. On international solidarity, too, the Left is not found wanting, reliably and correctly arguing, as Battistoni does, that “those who have the least to lose from global warming are leading us down a road to disaster that will hit black and brown, poor and working-class people first and hardest” — a statement that is true both within countries and between them. Yet this internationalist commitment is rarely matched with an equivalent enthusiasm for the actually existing mechanism for interstate cooperation: the Paris Climate Agreement (PA). On the contrary, the Left holds a uniformly negative view of the agreement, in arguments that range from trenchant critique to outright hostility. The Left tends to present the PA as irredeemably weak, completely inadequate to the task for which it has been created. But, like any text, the PA is open to interpretation, and the interpretations that emerge in the first few years of its existence can quickly become canonical. Rather than insisting that the PA does nothing, we should advance a radical interpretation and do it immediately. As with so much in this struggle, delay invites disaster. Many have repeated the claim that the Paris Agreement “literally imposes nothing,” that it is “nonbinding.” But, at best, this oversimplifies the deal. The PA requires each signatory nation to set a target and pursue domestic measures “with the aim of achieving” it (Article 4.2). The only thing the agreement does not impose is a binding obligation to meet that target. Further, Article 13 requires every country to submit the information necessary to determine whether it is, in fact, taking the steps required to hit its target. The agreement also establishes a committee dedicated to “promoting compliance” with the terms. It is possible, I suppose, to recognize the distinction between a binding obligation to meet a particular outcome (which the agreement does not impose) and a binding obligation to act toward that outcome (which it does) and still conclude that the PA “imposes nothing” on the 172 countries that have ratified it. But doing so substantially misinterprets the agreement in the service of weakening it. The “voluntary” criticism often appears with this “nonbinding” argument. The PA does allow each country to set its own target, and, in aggregate, those targets are inadequate. Setting aside the lazy and undemocratic nature of this critique — if your country’s target is weak that’s on you, citizen — and setting aside the practical impossibility of the alternative — 197 countries each setting targets for 196 other countries — such a preemptive dismissal of the agreement doesn’t tell the whole story. Most importantly, while targets are nationally determined, the agreement makes it clear that no country may reduce a target once it has been set. Parties must “maintain” the target they have set (Article 4.2) and submit a new one every five years (Article 4.9). Each new target must reflect both a “progression” from the existing one and the country’s “highest possible ambition” in light of its national capacity (Article 4.3). Countries may revise their target at any time “with a view to enhancing [the target’s] level of ambition” (Article 4.11). No country can go backward: the world cannot afford it, and the PA doesn’t allow it. Unfortunately, a recent, spectacular failure of nerve has endangered this integral principle of the deal. Earlier this year, as speculation swirled around Trump’s campaign promise to withdraw the United States from the PA, someone in his administration saw an opportunity to kneecap the deal even before the country pulled out. On May 2, the New York Times reported that debate over American withdrawal had focused on Article 4.11 and the question of whether it bound the current administration to honor the nation’s 2015 target. The Times credits Steve Bannon and Scott Pruitt with arguing that “the language of the provision does not allow nations to weaken their commitments” and therefore withdrawal was the only appropriate way forward. Others within the administration, including Rex Tillerson and Ivanka Trump, were reportedly in favor of ignoring Article 4.11, submitting a weaker target, and staying in the agreement. From an administration that has proved blessedly incompetent in many other fields, the “debate” over Article 4.11 was a phenomenally successful gambit. Pruitt (it was surely Pruitt — I doubt Bannon has ever so much as opened the Paris Agreement) wagered that if he made it known that Article 4.11 was a problem, some would be willing to gut one of the agreement’s core principles in the hopes of keeping the United States from leaving. But most important, Stern’s public statement, published before Trump had announced his decision, represented a major strategic miscalculation. 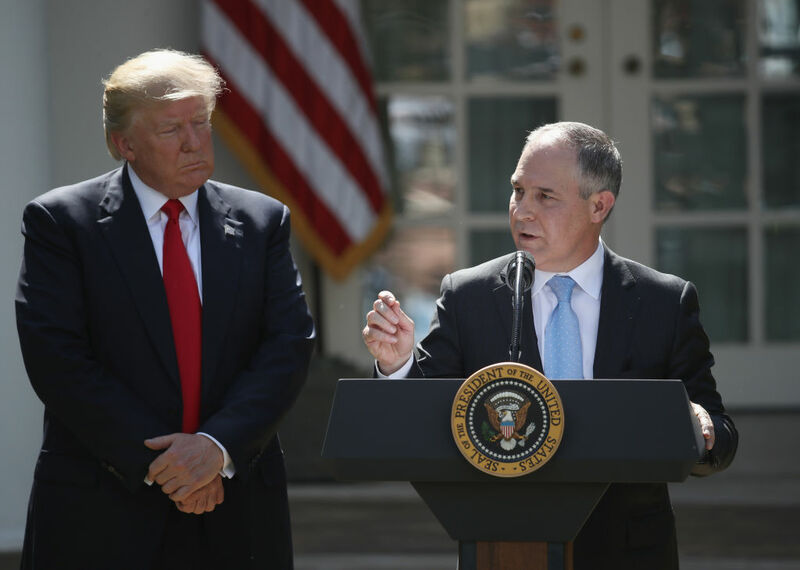 Three weeks after prompting President Obama’s lead climate negotiator to undermine the agreement’s integrity in the pages of the Washington Post, Scott Pruitt sat in the Rose Garden and watched the President declare that the United States would leave the deal anyway. Stern got played, but it’s hard to blame him too much. Someone in his position will always prefer compromise in the name of continuity between administrations. And others seem willing to let the United States rewrite the rules. Despite Europe’s ambitious targets — ambitious in the sense of what is achievable in terms of current energy policy, rather than what the science requires — the European Union’s Commissioner for Climate and Energy, Miguel Aenes Cañete, has indicated he is open to the Trump administration “chart[ing] its own path” to keep the United States in the agreement. But the Paris Agreement doesn’t allow for any nation to play fast and loose with its provisions. Article 4.11 uses conditional terms: countries “may” adjust their targets, which some have suggested makes it not “legally binding” — a diplomatic way of saying that the United States can ignore it. This argument ignores the fact that Article 4.11 was written only to allow countries to adjust their targets up and that 4.11 must be read with Article 4.2’s requirement that countries “maintain” the targets they set. Allowing the Trump administration to submit a weaker target would thus be a breach of both Article 4.11 and Article 4.2, wrecking the careful compromise between national sovereignty and scientific necessity established in the agreement. Unsurprisingly, the developing world has met the prospect of a downward US revision — and the precedent it would set — with undisguised fury. While Stern seems at least partially motivated by faith in a Trump climate pivot that will never come, another line of thinking is clearly at work. By the PA’s terms, Trump cannot begin the process of withdrawal until the end of 2019 and cannot complete it until November 4, 2020. In other words, if a Democratic candidate who supports the Paris Agreement defeats Trump in 2020, the United States would be formally absent from the agreement for only a matter of months. Why, then, are both Stern and Cañete willing to compromise? The concession makes no sense if you think Trump will be a one-term president. Clearly, Stern and Cañete aren’t so confident. In the Atlantic, Robinson Meyer laid out what the Democratic Party policy on climate change should look like for 2018 and 2020, mainly focusing on legislative priorities. While Eric Holthaus makes a good case for local engagement in the face the Trump administration’s disastrous withdrawal, the #StillIn movement needs to start at the top: with a commitment not only to hitting the United States’ existing target through all available policy levers and increasing access to those levers at every opportunity, but also to electing a president committed to returning to the Paris Agreement on the terms originally negotiated. In the meantime, Americans who wish to be #StillIn should stand with the rest of the world and insist that it not allow the agreement to be gutted in their name. The international left should do likewise. It is not be radical to insist that the Paris Agreement means what it says. And yet. There are good constitutional reasons for Americans to ask the world to treat the current executive branch as a passing aberration and focus instead on what US law actually says about international cooperation on climate. After all, Congress declared climate change a matter of national security in 1978 and has set national climate policy in the years since. It directed the executive branch to pursue international cooperation to protect the climate in 1987 — and updated that guidance in 1993, after the collapse of the Soviet Union. This instruction led to the creation of the UN’s Framework Convention on Climate Change (UNFCCC) in 1992, and the Senate ratified it soon thereafter. Even the 1997 Byrd-Hagel resolution, which kept the United States out of the Kyoto Protocol, was not a repudiation of this directive; rather, it was a message to the executive not to join agreements that only include targets for developed countries, as the Kyoto Protocol did — and the Paris Agreement does not. Byrd-Hagel thus further reinforces not only congressional control over climate policy and the enduring significance of the 1987 directive, but it also underlines the fact that joining the Paris Agreement fulfills every direction the US Congress has ever given the executive on international climate policy. Indeed, if Democrats had the spine of Barry Goldwater, they would use Chief Justice Robert’s strident dissent in Zivotofsky v. Kerry to question whether Trump’s planned withdrawal would not in fact breach the Global Climate Protection Act of 1987. Further, the president of a United States that is party to the Paris Agreement would be empowered under section 115 of the Clean Air Act to reduce emissions to meet the nation’s international obligations. This law allows the EPA to act when US emissions are endangering public health or welfare in another country, as long as that other country is also taking action to reduce its emissions. The EPA, working with the states, could thus use section 115 to set and achieve an economy-wide emission reduction target. The Clean Air Act thus demonstrates the state’s unmatched power to reduce emissions, as well as the concessions to statist thinking that come with any attempt to stall the effects of climate change: for all of our climate-action boosterism, an “investment in our clean energy future” still means a lot of money, so it only makes sense if all other countries take reciprocal steps. The most the Paris Agreement can do is to make these investments rational — no small thing at all. Crucially, however, it can only do this if it has a credible chance of matching what the science requires. Interpretations that bolster its odds are available but, thanks to recent events, far from entrenched. If it becomes clear that the Paris Agreement will not create the kind of international solidarity necessary, statist thinking will take us to some very dark places indeed. Steve Bannon probably hasn’t read the Paris Agreement, but, like Scott Pruitt, he’s smart enough to recognize that climate change is real. An ethno-nationalist energy policy that accepted climate science would probably go something like “Build the Wall and Burn it All.” The rich and ruthless will survive. For now at least, the mainstream GOP isn’t showing quite such explicitly callous disregard for the majority of humanity, but their refusal to recognize science can’t last forever. Here, the now-common comparisons between the Trump administration and interwar Germany reappear. squandered her gold reserves, destroyed her foreign credit by gratuitous repudiation of her obligations and even, for a time, wiped out her favorable foreign trade balance. She easily managed to camouflage her true intentions since neither Wall Street nor the City of London nor Geneva suspected that the Nazis were actually banking on the final dissolution of nineteenth century economy. The parallel is not exact, but it does resonate with the administration’s overall strategy, which only makes sense if they have already decided war is inevitable. Against such nihilistic savagery, the Left must play the same role it always has — and with the tools it finds to hand. Assuredly, the UNFCCC is no Second International, and the Paris Agreement no Marxist text. But it may yet be a Polanyian one. Consider Article 2’s three objectives: limit warming to well below 2 degrees; adapt the world to the climate changes that have already occurred and those that are coming; and — surprisingly overlooked by the Left — transform capitalism to do these things, making “finance flows consistent with a pathway towards low greenhouse gas emissions and climate-resilient development.” Against Jedediah Purdy’s argument, the Paris Agreement is — or can become — the capital-constraining solidarity we seek. Climate change will not wait for a new International, but a Paris Agreement capable of radically transforming global financial flows in the service of stopping environmental catastrophe might get people asking what other elements of capitalism are within their control. Such optimism of the will is necessary to save us all from madness, but we must of course temper it with an appropriate pessimism of the intellect. The challenge is immense; the chance of success slim; the historical precedents nil. Bill McKibben recently said that winning slowly on climate change is the same as losing. I can only add that winning alone is just as futile; 197 countries is a lot of countries, and the one thing that connects them all is the Paris Agreement. With luck, it will become the twenty-first century’s most important document; regardless, it will be with us until we no longer need it — one way or the other. As a matter of principle, therefore, and as a matter of strategy, then, what the Paris Agreement says, matters. One interpretation holds that the PA imposes nothing on the United States, and requires nothing from the nation to remain a party. That interpretation, however, willfully misreads the plain text of the agreement and of the bargain it codified: countries must maintain the targets they have set, take steps to achieve them, and make them progressively more ambitious over time. Insisting on that version of the Paris Agreement, even in the face of an administration committed to destroying it, will be the first defining challenge of post-Paris international climate solidarity. The world fought hard for an agreement that gives us a credible chance of doing what the science requires. We should not abandon it now — especially not for men like Scott Pruitt, Steve Bannon, and Donald Trump. Michael Dobson is a PhD student at the New School for Social Research and a Teaching Fellow in the Interdisciplinary Science department at Eugene Lang College. You can follow him on Twitter @michaeldobsonNZ.